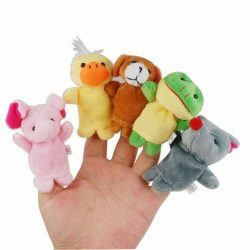 Velvety soft finger puppets, featuring 10 different animal characters. 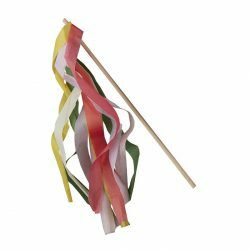 These are great party bag fillers for children of all ages. 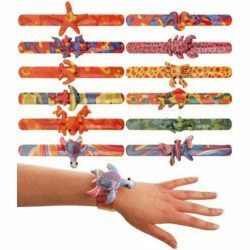 These bright coloured slap band bracelets always go down well in party bags with kids of all ages. 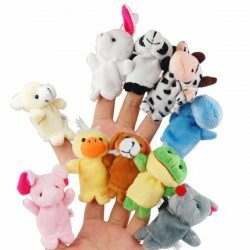 They come in 12 assorted designs, each with a different foam filled animal on. 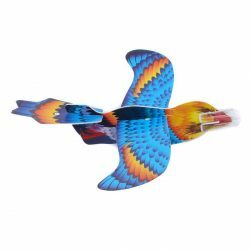 Gliders are a long standing party bag favourite, and these bird gliders are a great addition to a nature or woodland party bag. 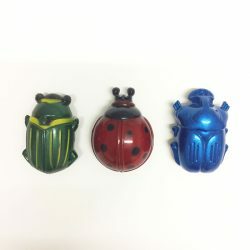 Fun little bugs, just pull back and watch them zoom across the room. Assorted designs, one supplied. 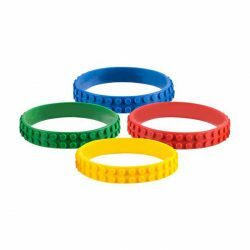 Super cool wristbands featuring that well known block design in bright colours. 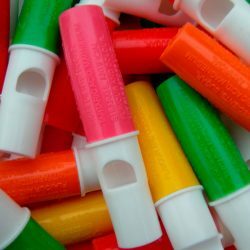 A great addition to any party bag. One wristband supplied, colours chosen at random. 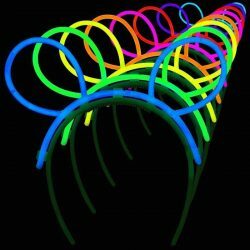 These glowing bunny ears are sure to be a massive hit at any night time event. Great for school discos or New Year's Eve parties. The headband has special slots to place the supplied glowsticks, which once activated will last up to several hours. We've also discovered that the headbands fit any regular glowsticks too so you can replace them and reuse it over and over again. One headband and 3 glowsticks supplied from a random selection of colours. 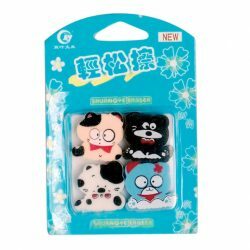 Perfect for keeping kids occupied on long journeys or in the waiting room, and small enough to keep stashed in your handbag. 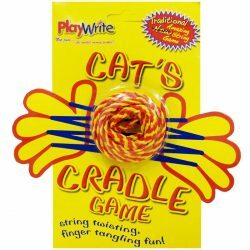 Cats cradles are a playground classic and offer hours of entertainment. This handy pack include the coloured rope, but the packaging opens up to show you all the ways to play with it too. 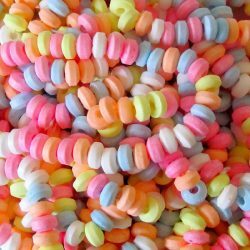 Who remembers making these when they were young! 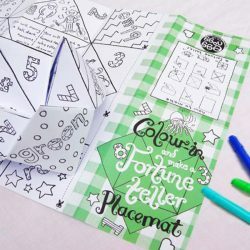 Ready to be coloured in and decorated, then fold up and play with your friends. 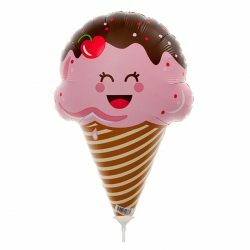 Have them ready on the table for your party, or pop one in each party bag for a different kind of treat. 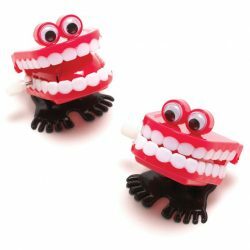 Why not put them on the tables at weddings to keep little ones entertained. 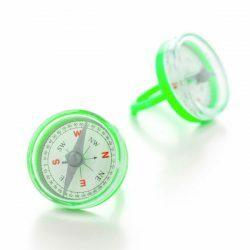 A fun addition to any pirate party and sure to keep the little scallywags busy for a while at least. 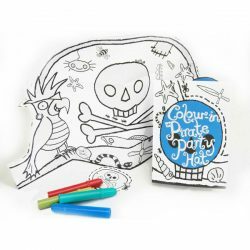 The paper hats are covered in lots of suitably piratey designs including their very own polly parrot! Ready to be coloured in and worn with pride! 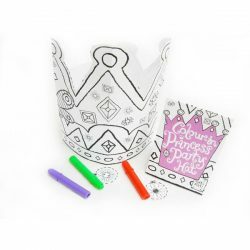 A fun way to kick off any princess party, ready to be coloured in with lots of pretty patterns. Why not include lots of glittery stickers and jewels for added sparkle. The little princesses are sure to be the belle of the ball in these. The cute little cupcake pegs are ideal party bag fillers, or why not even use them to seal your party bags. 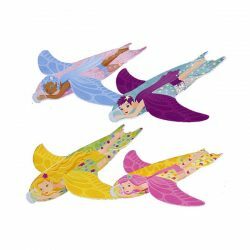 They are great for any girly party and look lovely in bedrooms to hold photos or artwork. 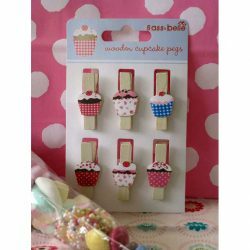 Pack of 6 wooden cupcake pegs. 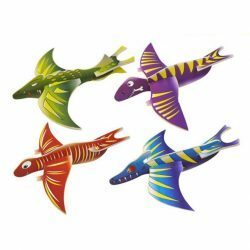 Gliders are a long standing party bag favourite, and these fun dinosaur gliders are sure to bring a smile to any child's face. 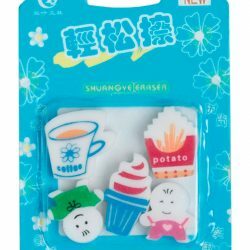 Set of 5 cute erasers, perfect for party bags. 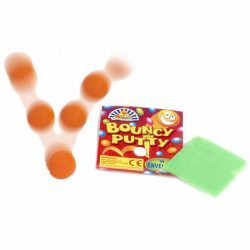 All kinds of fun and fantastic toys, treats and party bag fillers for boys and girls of all ages. 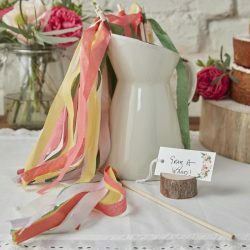 Everyone loves a party bag to take home, so why not choose party bag fillers that are a little more special and won’t be forgotten the next day. 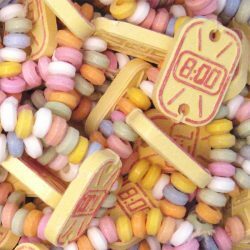 We have sourced lots of quality wooden toys, fun retro toys, bright balloons, yummy sweets, stickers, pens, tattoos, for unusual, quirky and endless fun. 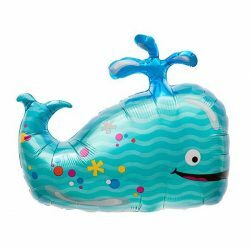 We have pirate toys, unicorn and mermaid treats, toys suitable for toddlers and cool treats for older guests for sleepovers and discos. 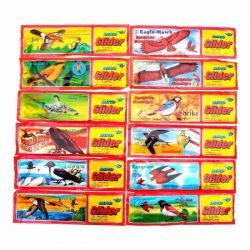 Our fillers are also great for favour packs to give to mini vip guests at weddings to keep them occupied through the celebrations. 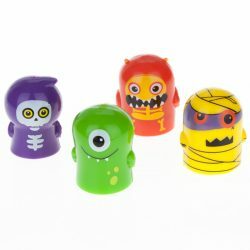 Pick and mix our toys and treats to match your party theme, or just choose a selection that you think will wow your guests, and don’t forget the party bags.